This is the final portion of coverage of the hearing. 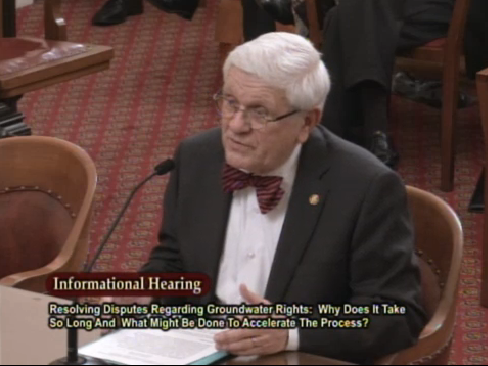 The first part featured Justice Ronald Robie giving an overview on the groundwater adjudication process. The second part was a case study of the Antelope Valley adjudication proceedings presented by attorney Eric Garner. 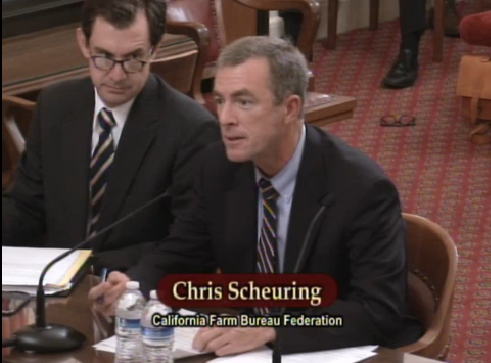 In this portion of coverage from the hearing, Stefanie Morris, chief counsel of the State Water Contractors, Chris Scheuring, managing counsel with the California Farm Bureau Federation, and Gordon Burns, undersecretary with the California Environmental Protection Agency discuss options and possible solutions for moving forward. 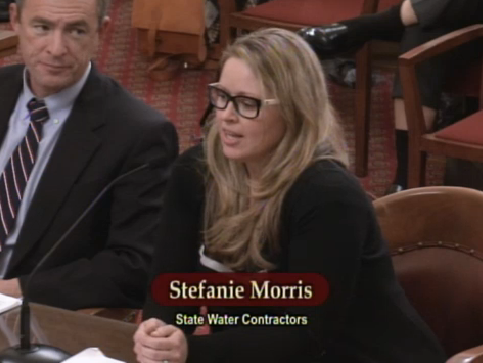 Stefanie Morris began by saying that she is here, not because of her current position as counsel for the State Water Contractors, but because of her past experience working on groundwater adjudications as the attorney primarily responsible for dealing with the service, notice, and discovery at the tail end of the Santa Maria adjudication and the middle section of the Antelope Valley groundwater adjudication. 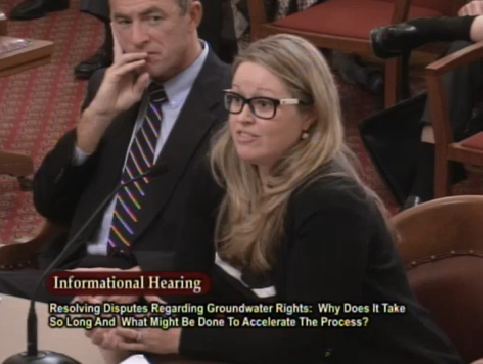 Ms. Morris said she is participating in an ACWA attorney working group charged with looking at ways to expedite groundwater adjudications, and that she would be sharing initial concepts coming out of that working group. 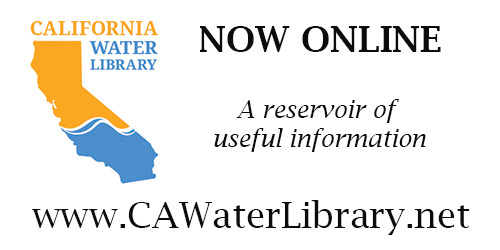 “They haven’t been completely vetted by ACWA so they shouldn’t be viewed as an official ACWA proposal at this point in time,” she said. The attorneys divided the issues into two groups, one group that are procedural or process issues, and the other group are more substantive. Ms. Morris says she refers to them as ‘time sinks’ because they are inefficiencies and even sometimes a little bit of litigation tactics. Ms Morris said that based on her experience, she estimated that 35% to 50% of the time could be cut if solutions could be found to those procedural issues. Senator Pavley asks if the tolling provision would encourage people who want the status quo and no changes to delay that five year time period in developing the plan? “So on behalf on ACWA, thank you for inviting me,” Ms. Morris concluded. Mr. Scheuring acknowledged that discovery is a problem. “Any lawyer who’s been involved with discovery knows how just painful that is, even for a lawyer that’s getting paid to do it,” he said, and he suggested streamlining the process by using a referee. “If we can send these cases to a shortlist of qualified referees, it could relieve the courts of the day to day burdens of a complex piece of adjudication.” He added that building in a fair amount of deference to a referee’s report could be another tool for encouraging settlement. Pavley asks Mr. Scheuring to define referee. He said a referee would be a groundwater expert designated by the court, someone who would be qualified and experienced in handling adjudications and could handle tasks such as serving all the parties, bringing in the claims, and undertaking the investigation. 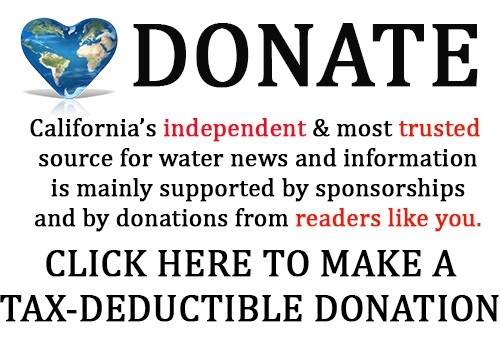 The State Board is not presently funded or structured to handle the quasi-judicial function over all of California’s groundwater resources. 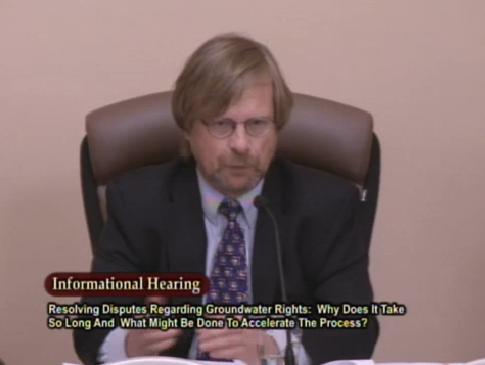 Mr. Burns noted there are some differences between adjudications and groundwater management plans. “An adjudication can quantify water rights, but they don’t always do that in the settlements, and it can require the participation of federal government and tribes that’s voluntary under the act,” he said. Mr. Burns then discussed a proposal for an alternative administrative adjudication process, rather than a judicial process. 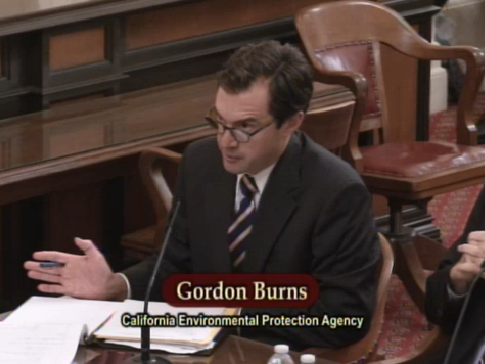 He noted that under water code section 2500, there is a statutory adjudication that applies to stream water. “The concepts that we’re discussing would extend it to groundwater, and add certain things to modernize or make it more efficient,” he said. He pointed out that most western states have similar administrative processes, some of which are limited to stream water, some are limited to groundwater, and some of them apply to both. Some of the procedures have been tested by the courts and found to comply with due process, so there’s a fair amount of certainty about how the process is set up, he said. 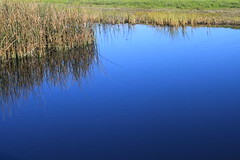 If the statute for surface water adjudications were extended to groundwater, there could be combined surface and groundwater adjudications where that might make sense, or they could be kept separate where that might make sense. 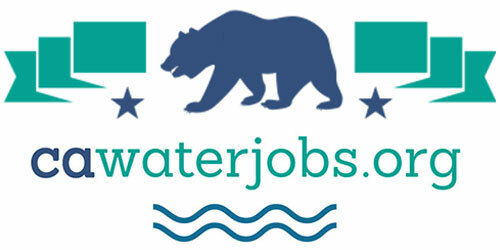 “That may provide certainty for both surface right holders and groundwater right holders when the two are interconnected and resolving the two of them together makes sense,” he said. He added that there isn’t any reason why they couldn’t reform the judicial process as well as reform the statutory adjudication process. He noted that he was, in the interest of full disclosure, go through some of the concerns they’ve heard about the process, but Mr. Schuering articulated them quite well. “We look forward to working with the legislature and stakeholders as this goes forward,” he said. 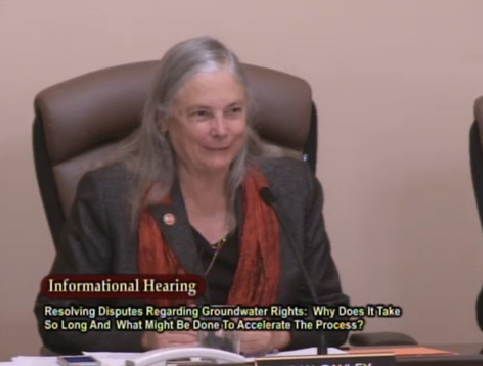 Senator Pavley asks Mr. Burns about the importance of a watermaster and ongoing monitoring of a groundwater basin. “Just because it’s adjudicated doesn’t always mean that it’s managed well,” she pointed out. Dennis O’Connor asks about the potential for a hybrid process that would initiate in the courts, and the court could, if it so desired, refer certain things to the board to work out the details, and then have that then go back to the court for ratification … ? Senator Pavley then asks Justice Robie for his thoughts on the discussion today. Did he hear any suggestions or concepts that ‘held water’ or raised any red flags? Senator Pavley asks him what the term ‘referee’ means to him. “Courts often refer matters to a referee for fact finding, and there is a statutory provision for using the board as a referee,” he said.